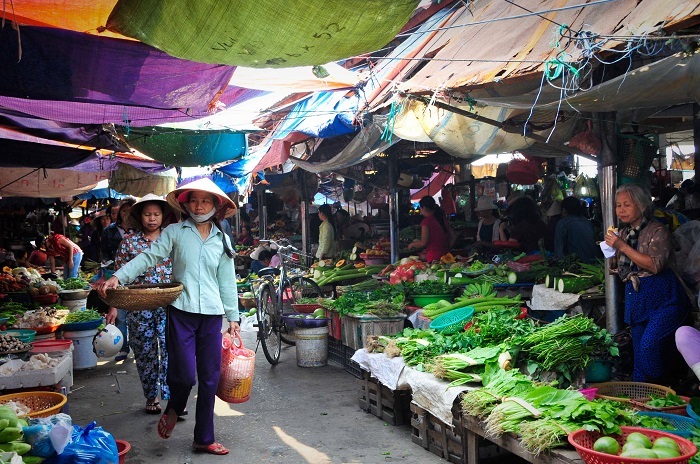 DO YOU KNOW HOI AN FOOD MUST-TASTE LIST? 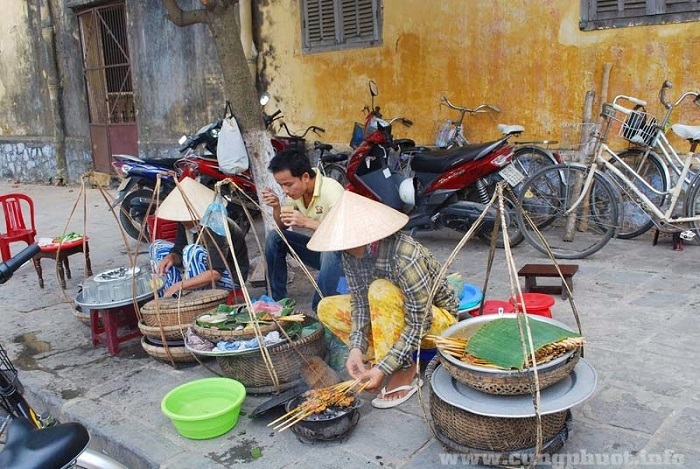 Travel to Hoi An, tourists can learn and enjoy the Hoi An food which have a very unique style of street food. Some are very popular such as : Pho, rice noodle. The others are so unique like Cao Lau, Xi Ma, mixed mussels, pancakes, Ram with barbecue, barbecue wet cake… All are skillfully processed by locals. They are served with moderate price. As you know, foreign tourists love Hoi An local food so much. The reason is that it’s so simple, such as fried eggplant, garlic chili soy thorn. They are really interested in them. Or when we mixed vegetable with shrimp crab, most of tourists like eating. Many local residents living in this ancient town said that Cao Lau was appeared from the 17th century, in the time of opening the port of Hoi An, allowing many foreign traders to come. Therefore, Cao Lau was influenced by Chinese cuisine and also affected by the cold Udon noodles of Japanese. However, Cao Lau Hoi An still has its own flavor and become the unique food that tourists should not miss. 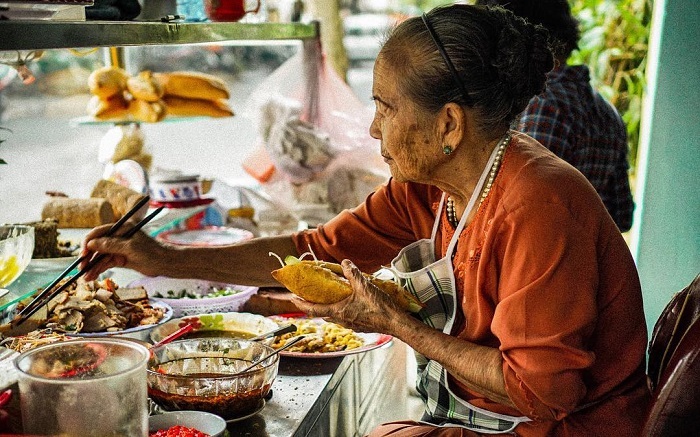 The only person who sells the most delicious Cao Lau in Hoi An is Mrs.Be – next to Hoi An market. There are so many people selling this Hoi An food and the price is very cheap. Address: Some restaurants on Tran Phu Street or you can go to Mr Hai restaurant, 6A Trương Minh Lượng street. Banh Dap (also known as Banh Chap) is kind of rustic cake in Quang Nam. It is the harmonious combination between the two kinds of baked roll and wet roll with some other ingredients to create new taste. 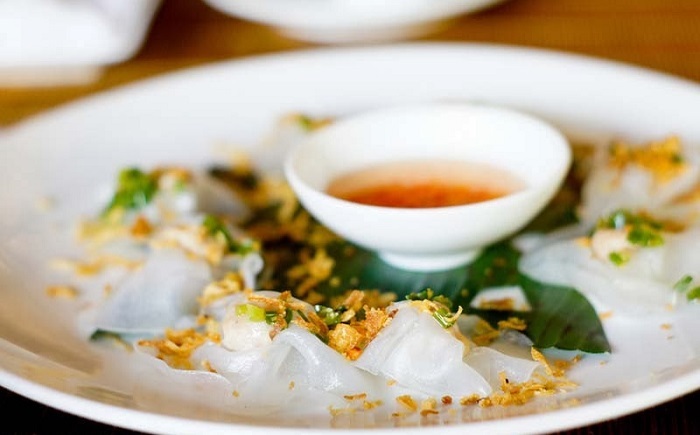 Banh Dap is combined with two pieces of crispy rice paper and wet rice paper smashed on the table. It’s meant to be eaten in pieces then dipped into a bowl of sweet fermented fish sauce and chili called Mam Nem. 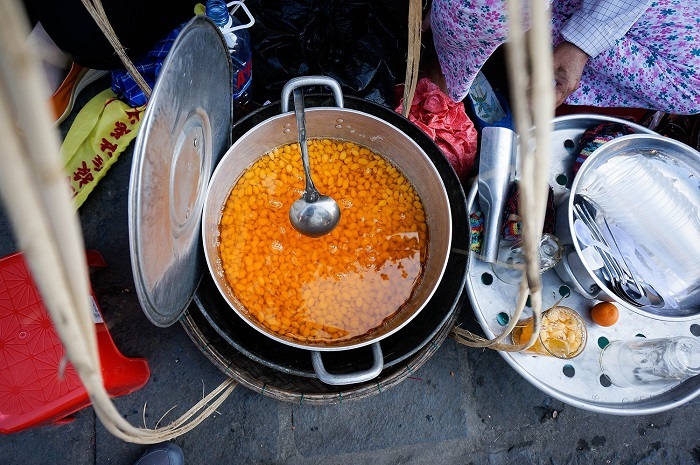 Banh Dap is often sold at roadside, alleys, or on a pair of small baskets to sell through the roads of the country or street corner. Sweet corn soup – is a famous food in list of Hoi An food. Sweet corn soup is one of the most rustic, inexpensive food. It is a sweet and sticky dessert made with shaved kernels of corn sourced from the village and sweet glutinous rice. It can be enjoyed at warm, cold or at room temperature. When we eat, we just need little coconut milk on top to increase the fat. Dumplings and cauldron cakes- two cakes have the same ingredients and are often eaten together on a cake plate. The main raw material for processing two types of these cakes is rice. Rice must be white , grain, fragrant, and are planted in clean land. Cauldron cake is usually made from shrimp mixed with a little crushed pepper, garlic, onion, lemongrass and some special spices. Dumplings is made from pork, mushrooms, green onions and ​​fried with some special spices. Travel to Hoi An, there are many restaurants serving not only for tourists but also for local residents in here. 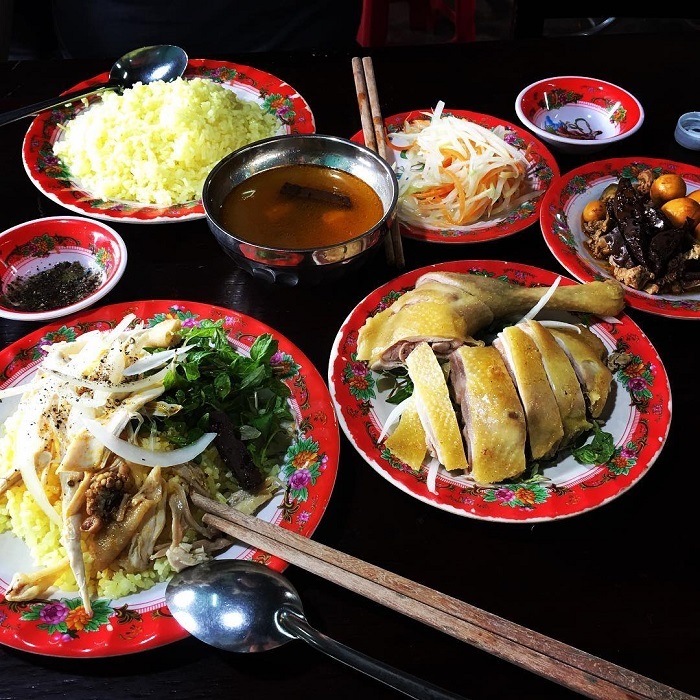 It can be said that chicken rice is Hoi An specialty food that makes visitors extremely impressed and enjoy in Hoi An food list. You can find chicken rice anywhere but why Hoi An chicken rice is more famous and become a unique dish in Hoi An?. It is thanks to the skillful hands of the Hoi An women. The rice will ripen and roast dry so that the yellow color of the rice is so beautiful. Boiled chicken is cooked with yeast and spices, pepper, chopped vegetables and freshly cut meat. When you eat, you will feel the fat of rice, the sweet taste of chicken and vegetables. The price of a plate of chicken rice from 35.000 to 50.000VND. Bread can say is a famous street food around the world which is cheap so you must try once. Bread in other places is not likely to become a specialty, but in Hoi An it is an extremely attractive dish. Many foreign visitors after returning home also shared about Hoi An bread with compliments. What is the special thing about this food in Hoi An? The answer is that the bread is so crispy with crunchy crisps and a variety of meat, herbs, unique sauce which makes the bread so good. The next good food in Hoi An that you also have to try once is wet cake rolling. The cake is almost like the noodle rolls in the north but it is thinner. You eat it with the barbecue, herbs, cucumber and dots with spicy sauce. The charcoal grill is very hot, the seller often grinds the meat and then wrapped the bamboo chopsticks to bake. The meat is marinated spicy food with rich sauce . To enjoy the Hoi An specialties – wet cake rolls with barbecue. If you come to Hoi An, you don’t enjoy the cup of lemon tea and a bit of green bean cake which means you don’t really enjoy all good Hoi An food. Green bean cake is a familiar dish of Vietnamese people in all three regions, but each land will have its own stamp and flavor, and Hoi An green bean cake, too. The difference of the cake here is that the cake when compressed into the shape will not be cooked as usual, but must be baked up. How wonderful when the peaceful space of the old town, side tea cups cool, visitors are enjoying the sweet aroma of grilled green bean cake, a bit hard to forget. For the people of Quang Nam or many tourists, Hoi An green bean cake usually top the list of specialties that you should buy as a gift when you travel to Hoi An. With beautiful packaging, light and delicious taste, this is a gift you cannot miss in your luggage. If Binh Dinh Quy Nhon wine is famous for Bau Da, when referring to Hoi An Quang Nam, you cannot foeget to mention the famous Hong Dao wine. The people of Quang Nam in general and Hoi An are always proud of the land and the specialties here, including Hong Dao wine. Hong Dao Wine has long become a valuable gift of Hoi An for the guests. It would be great if you come to Hoi An – Quang Nam to travel and bring back your friends with the warm wine of the earth. 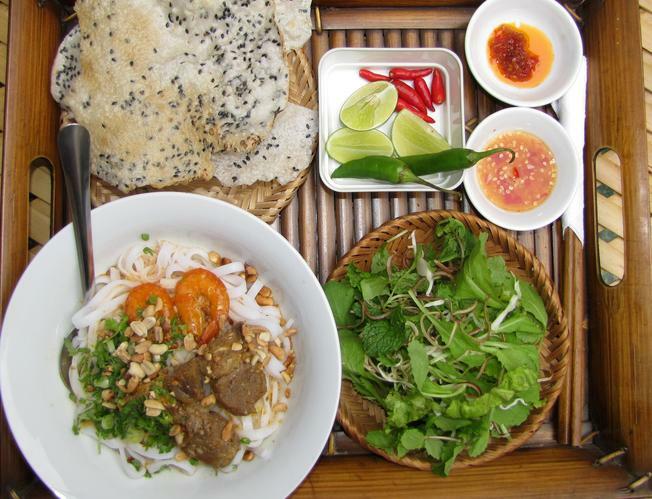 Perhaps, this is a specialty Hoi An food that any visitors cannot forget to taste when they travel Hoi An. Unlike noodles, Quang noodles are flat, thicker and have a bright yellow color as turmeric. 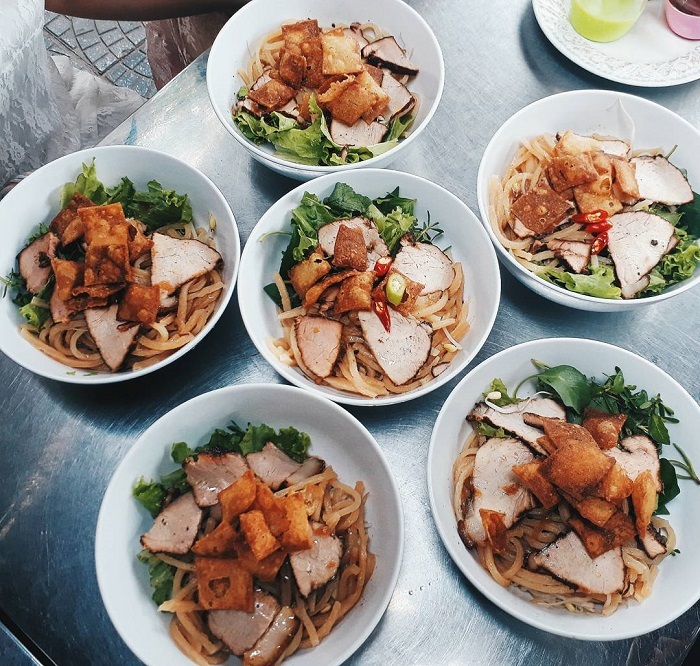 If with a traditional bowl of noodles, it is often used as a stew for making broth, with Quang noodles, broth is usually made from shrimp, pork or sometimes even served with chicken fried to get to taste sweet. One more thing, if you want to cook some Hoi An local food, you can attend a cooking class in Hoi An. There are dozens upon dozens of cooking classes available in Hoi An and which one you should choose simply depends on preference. 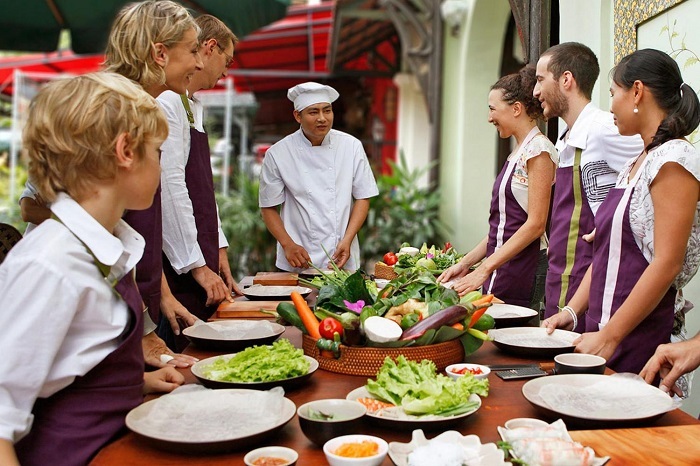 Several of the strongest cooking classes are attached to popular restaurants, such as: Hoi An cooking class, Vy’s Market Restaurant & Cooking School , Red Bridge, Green Bamboo. Hope you have a wonderful trip when you travel to Hoi An!